The Justice Ministry continues to officially label leading Russian human rights organizations as “foreign agents.” According to a law passed in 2012, Russian NGOs that receive foreign funding must declare themselves as “foreign agents” at all public events and in all their publications. This spring, the law has been changed in an attempt to combat the boycott. Under the amended law, the Justice Ministry can classify an NGO without the involvement or consent of the NGO in question. The NGOs have no right to appeal to a court to challenge the decision of the Justice Ministry or charges made by prosecutors. As a result of these recent legislative “innovations,” the Justice Ministry has already added 10 leading Russian NGOs to its list of “foreign agents.” The most famous include Golos, which monitors elections and battles electoral fraud; Agora, which provides legal protection to citizens fighting unlawful actions of the state; the Memorial Human Rights Center, which engages in human rights advocacy, monitors human rights in the North Caucasus, defends migrants’ rights and supports appeals to the European Court of Human Rights; and Public Verdict, which works to make law enforcement agencies accountable to the public. The courts have also joined the witch hunt. The Vasileostrovsky District Court in St. Petersburg, responding to an appeal by the local Prosecutor’s Office, has labeled the prominent Russian LGBT organization Vykhod (Exit) as a “foreign agent.” Not to be outdone, the Federal Tax Service has slapped the Moscow School of Political Studies (MSPS) with a bill of 6.5 million rubles ($185,000) for income it allegedly received from charitable grants. And however much the Russian authorities might deny it, the “foreign agent” law is openly discriminatory and repressive. NGOs falling under the law are obliged to submit quarterly reports to the Justice Ministry and Federal Tax Service detailing all foreign funding received and spent. They must also submit biannual reports to the Justice Ministry listing all of their activities and carry out a full audit at least once a year. Furthermore, all NGOs thus “blacklisted” by the Justice Ministry must display the “foreign agent” label on all of their publications and at all of their public events. Other NGOs are not subject to such harsh controls. As spelled out in the Russian Criminal Code, if an NGO classified as a “foreign agent” refuses to comply with the law’s requirements, it risks getting shut down “for repeated and willful refusal to comply.” The organization’s leaders might even face prison sentences. 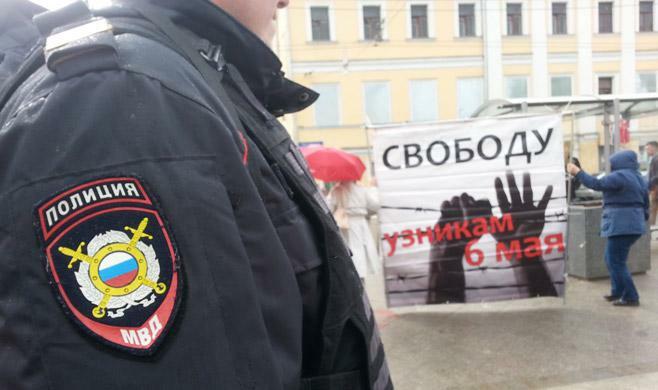 NGOs subjected to government repression are currently deciding how to respond to the Justice Ministry’s decision to list them as “foreign agents.” Some are planning to challenge prosecutors and the Justice Ministry in Russian courts, and possibly in the European Court of Human Rights. Some NGOs also plan to submit additional reports and refuse to publicly label themselves as “foreign agents.” This approach may provoke the authorities into waging a campaign to eliminate obstinate NGOs and prosecute their leaders. There are two reasons for this. First, the Kremlin sincerely believes that international NGOs and Russian NGOs with foreign funding are engaged in “dual purpose” activities. Along with their core activities, the government believes they are subversively seeking to destabilize Russia or even overthrow the regime by stirring up a “color revolution.” The ruling siloviki have entertained such fears since popular revolutions in Georgia, Ukraine and other formerly Soviet states swept away local elites. Second, Putin has effectively restored the traditional Russian imperial model of governance in which the bureaucracy and police exercise total control. In this model, civil society is in conflict with the “power vertical” because it challenges the monopoly that officials and security forces have on the exercise of power. To protect this monopoly, the authorities persecute the opposition, independent media, trade unions and NGOs and also weaken federalism and local government. Their actions effectively cancel out the constitutional principle that the people, not the ruling regime, are the sovereign and sole source of power in the country. But both ideas are wrong. Putin and his ruling circle of Chekists do not understand the important role that institutions of civil society play for both the public and the state and, therefore, persecute them without understanding the consequences. In practice, Memorial, Agora, Golos, the Moscow School of Political Studies and Public Verdict strengthen the state. They do more than many government ministries and agencies to bolster the state’s legitimacy, effectiveness and ability to integrate disparate interests and ethnic groups. Waging a battle against such organizations strikes a blow to the sovereignty and integrity of Russia itself and its future.